Will We Survive the Rapidly Changing Insights Industry? (IIeX Amsterdam '18) - Hotspex, Inc.Will We Survive the Rapidly Changing Insights Industry? 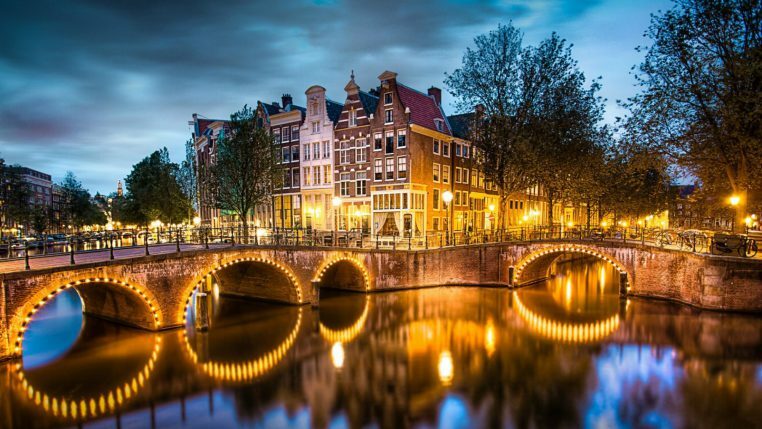 (IIeX Amsterdam '18) - Hotspex, Inc. There were some amazing talks at this event, including Didier Trucot, the founder of Ipsos, Stan Sthanunathan, Executive Vice President of Consumer & Market Insights at Unilever, and several other insights leaders from leading global organizations such as Heineken, Ferrero, Reckitt Benckiser, and Twitter. 50 Years of Change in 5 Years:� Didier Trucot, founder and CEO of Ipsos, led the conference with an inspiring presentation and suggested that our industry remained unchanged over 45 years and is now making up for that by evolving drastically over the last 5 years. Despite this change, Didier is still very optimistic about the future of our industry and suggested that the companies that are the� most knowledgeable, science driven, and operationally efficient� will be the ones that survive the change that is happening in our industry. Consulting Firms’ Invasion of Research:� Didier’s advice to research companies was to get closer to clients and to become better listeners. He suggested that we have not done a great job of this over the years and that he has heard a lot of complaints from clients that our industry has had gaps when it comes to� delivering outputs that are accurate, efficient, and usable. These gaps have allowed consulting firms to become new entrants in our industry and it is imperative for insights suppliers to bridge these gaps to avoid losing even more ground. So What, Now What – Your Insights Need to Have Impact:� Didier’s talk was followed by Unilever’s Stan Sthanunathan delivering a fascinating talk about the future of insights and one of the most simple, yet powerful, ideas he shared with the crowd was the importance of extracting impact from research by asking “So what, now what?” during your research journey. He referred to the insights� value-added pyramid,� in which the base starts with data and knowledge, the middle layer is comprised of insights, and the peak is the action and impact that comes out from the learning. He suggested that insights leaders should invert this value-added pyramid and start every research journey by thinking about how they plan to create impact. Marketing to a Segment of One:� Stan also shared his belief that we are headed towards a marketing world focused on a� segment of one. He suggested that we need to get more granular with our research and questioned whether sample size would become less relevant over time. � Using Call Centres to Uncover Insights: Another interesting idea that Stan shared was that companies could make better use of their inbound call centres to harvest deep insights. Most call centers are evaluated by their ability to reduce call wait time and often rush consumers off the call. What if call centre employees were provided better questions and probed deeper into the� consumer pain points and opportunities to unearth better insights? How to Influence Your Internal Stakeholders: Heineken had several inspiring talks and in one of them, they provided advice on how to engage your internal stakeholders. In the talk, it was suggested that research can still be a beautiful artifact that isn’t used as effectively as it could be. Heineken suggested the idea of running mini modules that allow marketing and other stakeholders, including supply chain and regulatory, to� better understand the types of questions they can ask and what kind of answers they can get from research journeys. Deciding whether AI is a friend or an enemy:� A final insight from Stan was that he believes AI to be a “frenemy”. It has� potential to add a lot of value, such as augmented efficiency, to our industry. At the same time, Stan warned of the importance of insights leaders taking charge of how AI evolves the industry rather than falling victim to changes, using the quote “If it is to be, it is up to us” to drive this point home. On the night before the kickoff of the IIeX Amsterdam event, we joined several other insights leaders on a canal cruise. We met a technology expert who taught us that we should be referring to technology advances in our industry as� “deep machine learning” instead of “artificial intelligence”. He suggested that most applications of technology are examples of deep machine learning and still are several steps away from artificial intelligence, so he suggested the proper terminology for most technology we are interacting with is deep machine learning and not AI. Blockchain & Cryptocurrency: It would come as no surprise that an innovation and technology focused conference had a presentation on blockchain and cryptocurrency. An interesting stat shared was that 5 billion people have bank accounts, but only 0.5% as many – 25 million – have crypto accounts. Furthermore, we recently learned that there are still over 2 billion people around the world that don’t have access to a bank and have their life savings hidden under mattresses or in walls. Clearly, aside from the fact that there is still a lot of room for awareness and penetration of cryptocurrency to grow, there seems to be an underlying need for it. Interestingly, we have noticed an increasing number of presentations on the topic of how blockchain and cryptocurrency may affect the marketing ecosystem at recent marketing and insights conferences. The power of platforms and the search for meta-insights: Stephen Phillips from Zappistore reminded the audience that many other industries have come to rely on a few� quasi-monopolistic platforms, referencing Netflix, Amazon, Uber, TripAdvisor and Spotify. Stephen alluded to the same happening in our industry, which raises many interesting questions, but the one that was most salient was:� could a single platform controlling most of the research within a company lead to better meta-insights?If so, will we start to see a few dominant platforms take over our industry? At Hotspex, we are keeping a very close eye on what the future holds for our industry and how that will impact our clients’ businesses and careers. In line with the key messages from this talk, we have invested heavily in science, technology, and human expertise. We believe that this is the winning combination to uncover insights that are truly actionable and have impact. A great example of how we’ve combined science, technology, and expertise is our new tool that melds deep machine learning and behavioural science to improve advertising efficiency. Our initial pilot with 7 brands demonstrated at least a 10% improvement in media efficiency. If you’d like to learn more about how this technology could improve your reach quality, we would be happy to set up a demo and show you how this technology could provide you with a high-quality targeting package that goes beyond brand safety and begins to build brand opportunity. The overall focus of the� Insight Innovation Exchange was to demonstrate the rapid change that is happening in our industry and provide insight into how manage through this change in a successful manner. If there was one message that acted as a common thread across the different talks we attended, it would be the importance of� ensuring that impact is guiding all of your decisions whether they relate to the� research you conduct� or the� technologies you deploy. As Didier said, it will be the most knowledgeable, science driven, and operationally efficient companies that survive the incredible change that is happening within and to our industry. How is your insights function leveraging science, technology, and expertise to have impact on and drive growth for your brands?